It’s the prime time to realise your house fantasy. With various aspects like budget and decor, there are other factors like durability and the quality that matters. Ensuring that your house has the right kind of fitting or accessory that are soothing not only to you but also the guest is said to be something that has been achieved. Tiles are one of them that change the look of the place. Majority of the people believe that in the case of house renovation or adding value, installation of tiles plays a significant role. Designer and beautiful tiles account to 95% of the appearance. It is one of the reasons why tiles remain the popular choice till date and companies are manufacturing the varieties as per the requirement of the people. The floor tiles differ from the splashback tiles. Therefore, the tile suppliers in Perth make sure that the owners get the one that they are looking for. On one hand, where Ceramic - Gloss White Ripple tiles are suitable for the splashback, marble look gloss white tiles are suitable for wall, and porcelain tiles are more suited for floors. What type of look you want to give to your bathroom matters. Whether a touch of gold on the black base or a complete warm feeling is the matter of choice. The dealers or suppliers like Direct Tile & Bath have with them all the types of tiles. Right from glossy black subway tiles to ceramic matte finished white tiles- everything is going to make your guests feel jealous. Colour of the tiles matters a lot. It is what that is going to define the aura of the place. Experts prefer the light coloured tiles for the confined places that get the least light. Dark coloured tiles work well in spacious and well-lighted space. 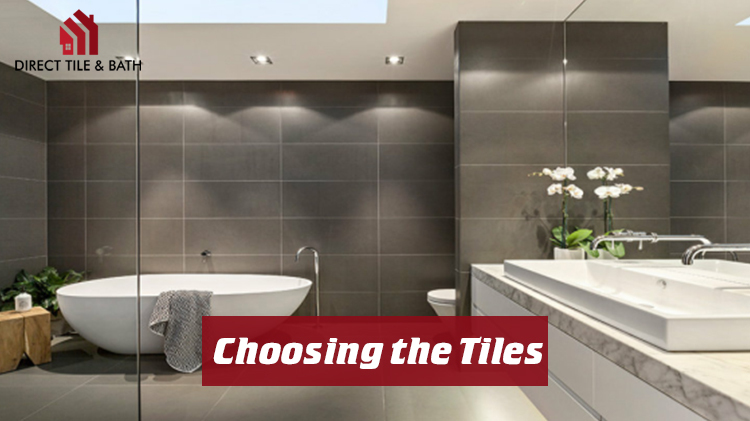 With so many retailers dealing with sale and purchase of tiles, going with the one that has a reputation of having affordable and quality bathroom tiles in Perth, within a budget, is going to change the look of your house. Direct Tile & Bath has with it the variations that you need to explore.